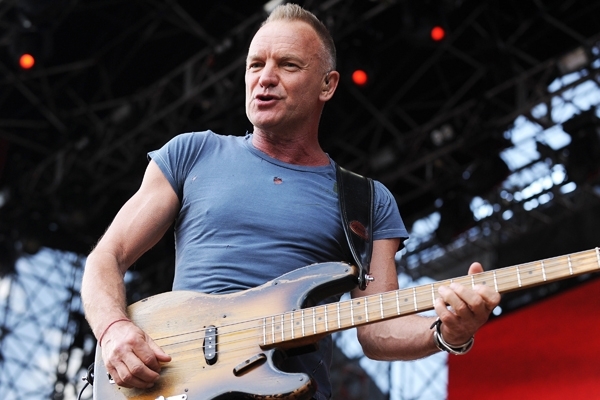 Sting has announced 10 concerts at New York's intimate Public Theater this fall to benefit the venue's arts organization. The shows will take place between September 25th and October 9th at the 260-seat Anspacher Theater in the Public Theater. Sting will highlight tracks from his upcoming album The Last Ship, out September 24th, and will reportedly discuss his creative process behind the LP and play of the same name, which will premiere next year. The Last Ship tells the story of a homecoming set in Newcastle during the 1980s as the shipping industry begins to decline in England. A limited number of free seats will be available the day of each performance and will be given out via a lottery system; otherwise, tickets will be priced between $250 and $2,500 and will go on sale July 14th at 10:01 p.m. EST. In a statement, Sting said, "The Public Theater, a New York institution committed to supporting all of the city's distinct communities, was a natural fit to perform this material that is, at its core, about the importance of community."